Home » Face » Your Say: What was your “Makeup Lightbulb Moment” that made you say Hallelujah? Here’s mine! I don’t have that original concealer anymore but I had never thought to wear concealer. I had worse skin back then than I do now and I was regularly working very long, late hours and getting very little sleep. It’s no wonder I had bad skin to be honest but I had never thought to wear concealer. That was the sound of angels singing as I stared at the dark panda eye circles that had all but disappeared from view! I actually looked fresher and in a working environment, more bright-eyed and bushy tailed. I did not necessarily feel better but I LOOKED better and that was when I realised just how useful makeup could be to help me look better and put my best face forward in a professional environment. I have never looked back since and have always been on the lookout for the next best concealer. I don’t have that pan of Boi-ing anymore. It was the wrong shade and by the time I actually planned to get one, I realised I didn’t quite like the texture. It just felt too thick and I didn’t notice it at the time, but it settled into lines and looked cakey if I wasn’t careful. Being wary of my budget, I went on to use up copious tubes of the very affordable and very effective L’Oreal Touche Magique pen until it was discontinued and later moved on to Make Up For Ever Full Cover, which works well for covering up blemishes and discolourations but is too thick for the under eye area. I have since found the one concealer I don’t think I can do without, but I am always swayed to try others to see if they match up to my ideals. Concealer was the one thing that changed my outlook on the makeup I used and how it could help me put a better face forward and I have my swappee to thank for this lightbulb moment 😀 If you want to know what concealers I’ve tried, they can be found here. 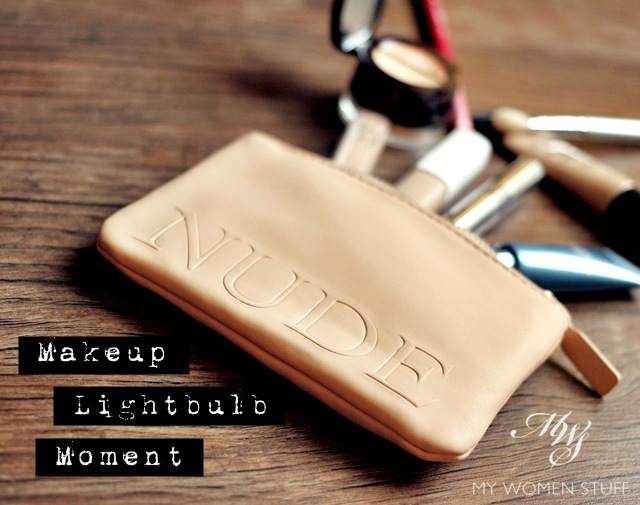 What is your makeup lightbulb moment? What makeup item did you try or use that made you change the way you feel about wearing makeup? I can’t rave enough about wearing concealer and in fact, if I’m having a good skin day, I am quite willing to skip base makeup and just wear a touch of concealer to keep me looking fresh. What’s yours? Do share! Hey Ting! I know! I thought most people might guess blush or lipstick too haha! 😀 Eyeliner! The first day I wore it I must have poked myself in the eye LOL I was so bad at it I’m glad I now only tightline coz I still never got the hang of using liner! But it truly transforms the eye doesn’t it? Haha hurrah for concealers and the makeup lightbulb moment! To tell you the truth, I’m still finding one that will suit my undereye area to a T. I have some sort of dark discolouration below my eyes (I guess you can call them dark circles but I have them even though I’ve had ample sleep) that a lot of concealers can’t hide. The ones that can will make the area look really cakey. I’ll need to try yours out. I have serious dark circles too since I was a kid? Ha! Normal concealer (beige shades) just won’t do the job. I have to use orange shade concealer (kryolan paint stick- 508) to mix with beige shade (kryolan paint stick FS 45) in order to be able to cover up my dark rings! A little of it works the magic, so maybe you could try it too! Ooh that good eh? Is it better than the Nars one? I can’t think of a lightbulb moment, to be honest. It might be the first time I got my brows professionally shaped. Then I realised the power of good clean brows. yup! bravo to the ol concealer! i was like you when i was younger, had bad skin then, and was using only light foundation & setting powder. plus busy with work etc made me not want to add an extra step to my beauty routine. found the joy of using the concealer 2,3 years ago and now never turning back. in fact now my skin is a bit better than before, sometimes i just apply concealer to where ever needed & top it up with a setting powder to the whole face, there i go, done. good ol concealer. never thought it would be a stapple in my stash. p/s: when i went back to malaysia recently, bought the za concealer shown in ur picture above. have u tried it? i am yet to use it coz still trying to finish my maybelline dream matte & sephora stick concealers. Woohoo! Yay for concealer! I can’t go without anymore 😀 I actually quite like that ZA concealer. It’s not as good as say, the Nars one but it is pretty decent for something so affordable. I believe it’s not as thick as the Maybelline or a stick concealer so don’t get your hope up too high! My lightbulb moment would definitely have to be liquid highlighter. It REALLY makes a difference on my complexion. I love Benefit’s Girl Meets Pearl and Watt’s Up specifically. When I think back, long time ago … my ‘very’ first product was a lipstick I got from my mum. Clinique, it came with a gift packaging she got, had that ugly green packaging, haha. A deep burgundy brownish shade. I was 15 or so. I wasn’t wearing any makeup at this time, not even mascara. When I put on this lipstick I fell in love with it, made feel special and vintage haha. But my serious makeup thing started when I was 22, I was at a mac counter and the MUA applied foundation, blush and mascara – I was wowed by how healthy, relaxed and flawless I was looking. I never was scared of vampy, red shades but I was scared of foundation and blush, lol. She was such a good MUA, so sad she moved, always recommended stuff I liked. Aww that’s such a lovely story Claire! 😀 Lipstick can totally transform a look. I started out with bright shades too coz I figured, why wear lipstick if it can’t be seen? 😛 Sorry to hear your fave MUA left. I hate it when that happens too coz sometimes it’s like losing a friend! I would like to say it was the concealer for me but I have yet to get hold of THE one that covers my dark circles without caking. 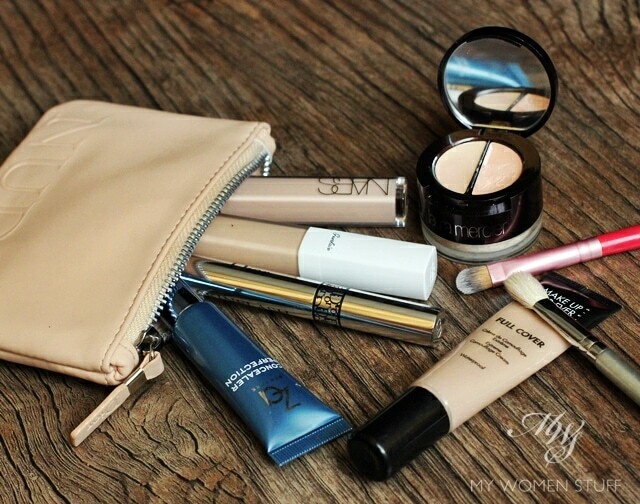 Which reminds me, I need to check out the NARS concealer that so many are raving about! Hmmmm I can’t think of mine, too…but I would have to pick either under eye concealer or a lipstick. Hehe! It would be the brown eyeliner from “too cool for school”. I picked it up last week and been using everyday to work since then. The brown eyeliner can be used as eye-shadow as well. It would have to be MAC’s Studio fix concealer! Hmm… one I haven’t thought to try! Guess it must be pretty life changing. Sun screen and powder. Seriously. I used to do the whole she-bang: sun screen, primer, foundation, powder. Took too long and got too uncomfortable too quickly. I stopped using make up for a while and on a off hand comment to a friend about her make up routine I found out she just used sun screen and powder. Game changer right there! If I really wanted to look decent I’ll use concealer but other wise if I have nothing special on those two work fine! Haha, you know at work my bosses always say that we need to continue to strive and excel in what we do, hence we need to collaborate and together, we can achieve the lightbulb or Aha moment? Your catchy blog title was really my Eureka moment. Well, for me, it will definitely be BB cream and compact powder. I have always been terrified of makeup simply because as a kid, I was never good in art. Short of being colour blind, but I am really one of those who is not artistically inclined. After trying the Dior BB cream deluxe sample, I was amazed that after living with my terrible skin for eons, I can actually end looking a shade or two better 🙂 That was my precious moment. I went on to try the powder and the finishing was quite marvelous. Yeah, the scars and keloid are still there, but at least it helped to even out my skin tone. It is the eyeliner…. It helps me to look fresher and awake. Makeup brushes! Am in love with Real Techniques now, especially the expert face brush. Never thought makeup brushes can make such a big difference to foundation application. Good choice Ping! 😀 Real Technique brushes are pretty good and so affordable too! Oh and that Expert Face Brush definitely takes the prize for foundation application. Loved this post, Paris! I’m quite obsessed with a perfect base but I have to say that my lightbulb moment has been discovering how much I love a *strong* lip color. I do have quite good skin so I can easily skip foundation and concealer but I just love how a good lipstick makes me look!